The only way I can imagine this working is if Catfish directing duo Henry Joost and Ariel Schulman use a Mega Man power up. THR reports the duo is in talks to direct a feature film version of the classic Capcom side-scroller that spawned a multimedia franchise which goes strong to this day. There aren't a ton of details at this point, but we know they'll be joined by Heroes star Masi Oka as a producer. 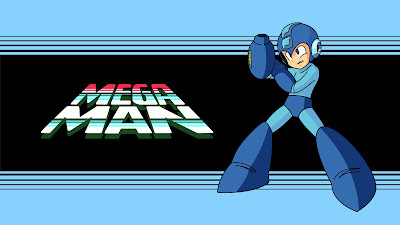 Mega Man has you controlling a robotic hero, a former lab assistant to the benevolent Dr. Light, who gets upgraded to battle the android forces of the evil Dr. Wily. You don't want to go into a fight with Cut Man and have the wrong weapon. To be fair, Joost and Schulman have done more than Catfish and the TV series it spawned. They also helmed the Emma Roberts thriller, Nerve, and a pair of Paranormal Activity flicks that heavily focused on the technology being used. So maybe they will prove themselves better at the kind of action a Mega Man movie would demand.